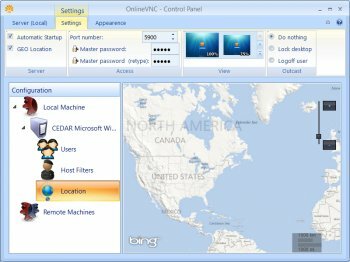 OnlineVNC Server is a quality and easy-to-use program that allows you to control your desktop from the web-browser from Windows, Linux or Mac OS X. Viewer for the server is written using Adobe Flash technology and requires no installation at all. You just to go to our website and pass server address to the login dialog. Pass credentials over a 3rd party server with no mention of encryption? No thanks. Yeah, so this is a trap to gather domain, usernames and passwords for VNC servers?